Moodle is the name of the software we use for the online components of our community and course work. It’s used by thousands of schools and other institutions of all types and sizes. 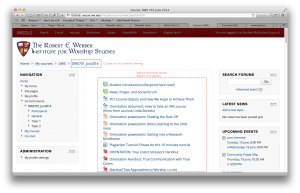 How Does IWS Use It? There are two primary ways we use Moodle at IWS. 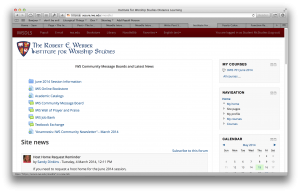 One is for community-wide online interactivity and related things, like the Prayer and Praise Wall and Job Board. These areas are accessible to the entire IWS community of students, alumni, faculty, staff, and board members. You should explore these community-wide areas (and if you want to be notified when they’re updated, see this post). 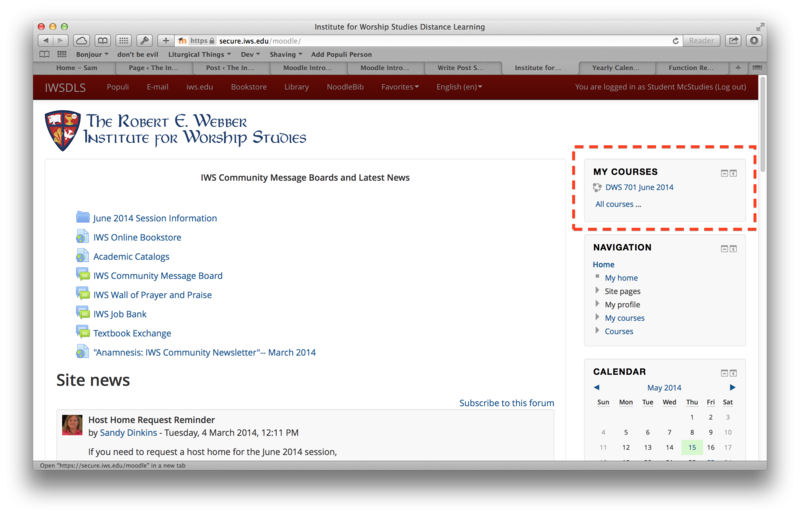 Community-accessible areas are on the Moodle “Front Page” after signing in, and you can always get back to the Front Page by clicking the IWS logo. Your courses will all use Moodle to some extent as well. Course syllabi are posted to Moodle at the beginning of each semester (that is, several weeks before the on-campus intensive). Some professors will have you submit work through Moodle’s Assignment Submission system. Many professors will use Moodle to post course documents and share resources with you. Most courses will require some kind of online interactivity in course-specific discussion forums before, during and/or after the on-campus intensive. Practicum Students may use Moodle to plan their practicum presentations. Course modules are only open to the students enrolled in or auditing the course, their instructors, and a few other people (like the Academic Dean and the Chaplain). The direct link to Moodle is https://secure.iws.edu/moodle/, and you can find a hyperlink at the bottom of every page on iws.edu (as well as in the Resources menu at the top of every page). Sign into Moodle with your IWS username (leave off the @iws.edu part of your IWS email address) and password. On the Front Page, a list of all courses you are enrolled in will appear in a block in the top-right corner. 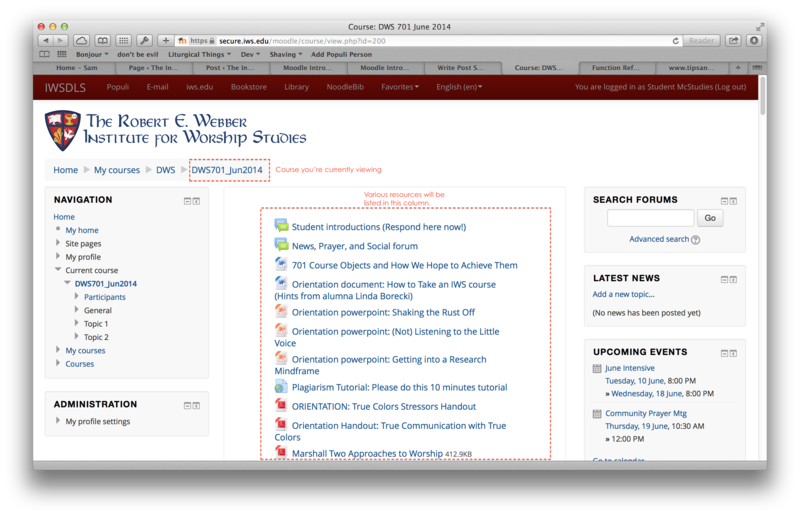 Click the course title and you’ll be taken to your course’s front page, where resources are posted.